Finance Minister Arun Jaitley and Arvind Kejriwal moved joint petitions before a Delhi court today to settle a two-year-old defamation suit after the Chief Minister submitted a written apology to Mr Jaitley for calling him corrupt. "Though we belong to two different political parties, I believe that we should end the unsavoury litigations between us..." wrote Mr Kejriwal, who has been on an apology spree to extricate himself from a tangle of defamation suits. The Finance Minister had sued Mr Kejriwal and other Aam Aadmi Party (AAP) leaders for Rs 10 crore after they accused him of corruption during his 13-year tenure as the boss of Delhi's cricket association DDCA. Mr Jaitley filed a second case last year after Mr Kejriwal's lawyer Ram Jethmalani used a slur while cross-examining him and said the term had been authorised by his client. 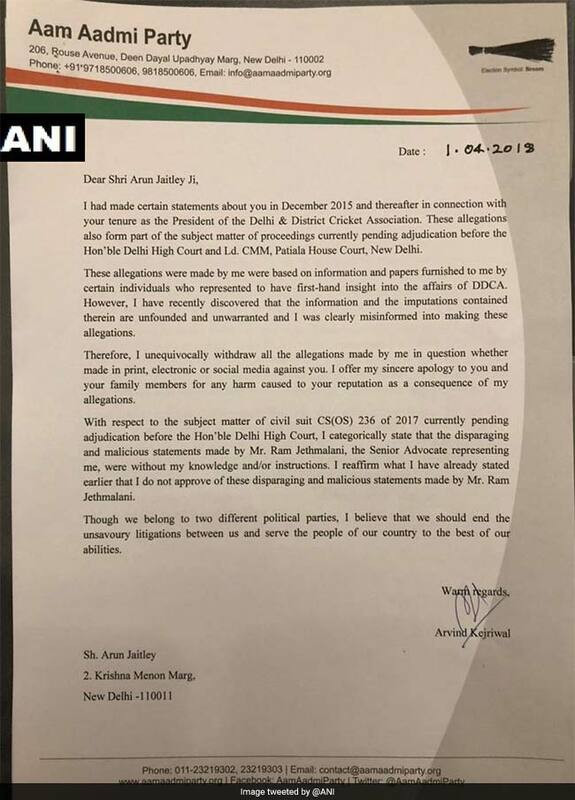 "...I have recently discovered that the information and imputation contained are unfounded and unwarranted and I was clearly misinformed into making these allegations," said the letter from Mr Kejriwal and other AAP leaders to Mr Jaitley. Mr Kejriwal also said that the "disparaging and malicious statements" of Ram Jethmalani were without his knowledge. 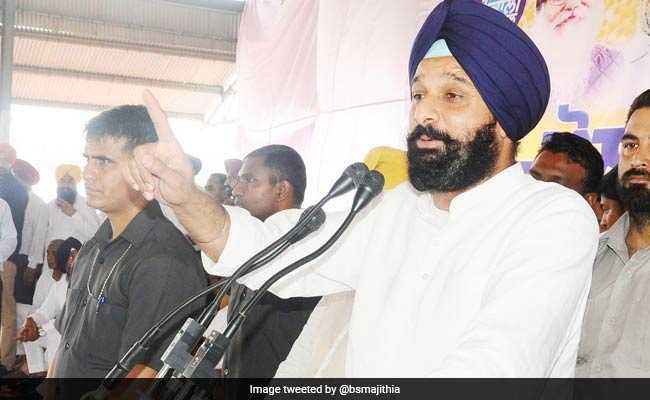 Delhi Chief Minister Arvind Kejriwal started his sorrys with Punjab ex-minister (above) Bikram Majithia. Mr Jaitley had also named Sanjay Singh, Ashutosh, Kumar Vishwas, Deepak Bajpai and Raghav Chadha in his lawsuit. The case will continue against Mr Vishwas, who has not apologised. Last month, Mr Kejriwal offered three such apologies; he faces around 30 defamation cases. AAP leaders say the taxman-turned-politician decided to "amicably sort" out pending cases since they were "taking a toll on the already strained resources of the party and individuals." Mr Kejriwal started his sorrys with Punjab ex-minister Bikram Majithia. Then he apologized to Union Minister Nitin Gadkari and Congress leader Kapil Sibal's son Amit Sibal. After his latest apology today, Mr Kejriwal was derided by BJP leaders on social media. Mr Kejriwal upset a section of his party in Punjab for apologizing to Bikram Majithia, an Akali Dal leader. AAP lawmaker Bhagwant Mann quit as the party's Punjab unit chief and Aman Arora resigned as his deputy.